You’ve been busy with festivals lately, haven’t you? Indeed. This is our third appearance at Edinburgh, while we’ve played festivals across the world in countries including Japan, Italy and Canada. Especially important appearances for us include Taipei’s Global Indigenous Peoples Performing Arts Festival and Toronto’s Summer Solstice Indigenous Festival – the world’s largest indigenous festival held every three years. 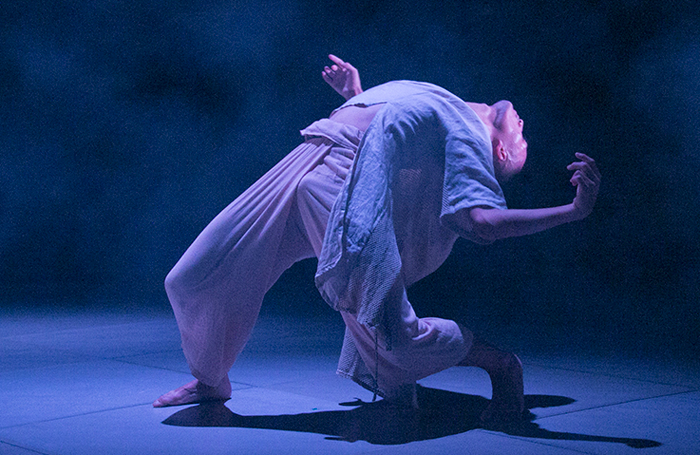 We have also just come from performing our current piece, Varhung – Heart to Heart, at the Festival Off d’Avignon. Edinburgh helps to develop our international relationship network, expanding the range of our group’s performing styles, and increasing exposure around the world. Do the less sophisticated spaces and technical infrastructure of fringe festivals pose a challenge? This is the third year we’ll have performed at Dance Base. It’s a part of the fringe but it’s also Scotland’s National Centre for Dance, so compared to other performance spaces it’s complete and systemised, including equipment and box office. We are fortunate to already know that the venue can provide us all that before we even go on stage. So what is this year’s show about? Varhung – Heart to Heart is based on the traditional culture of Taiwan’s indigenous Paiwan people, adapting their dance and music into a contemporary body language. The movement is inspired by the shell ginger, a plant whose flowers are important to tribal life. The Paiwan tribespeople took our dancers up into the mountains where picking, drying and peeling the flowers layer by layer became the elements of the piece. How did you work out the finances to bring everyone over? It’s thanks to the support of Taiwan’s Ministry of Culture. We’re pleased that eight company members have come over this time. Does language pose a barrier to taking Taiwanese shows overseas? No! For example, Tjimur is the first contemporary dance group to feature Paiwan culture in Taiwan, where our indigenous cultures are vital energies. Movement such as that in our show can go beyond language in terms of communication. As the first contemporary dance group featuring the Paiwan culture, Tjimur has developed its own contemporary movement language. So our mix of traditional and contemporary styles is special for both Taiwanese audiences and those in other countries. Does Taiwan have its own fringe? Only the Taipei Fringe Festival. While it doesn’t provide any production funding, all the participating artists keep 100% of their ticket sales. The 11th Taipei fringe is running this month. How will Edinburgh help you? We don’t just go abroad to perform, but to exchange. Varhung is part of the Taiwan Season at Edinburgh, a chance for Taiwanese companies to share their performance art with foreign professionals and the world.